Malin Holst is the director of York Osteoarchaeology Ltd, which she founded in 2003. She started to excavate in 1987 at the Raunds Area Project and worked in field archaeology throughout England and Wales, including on well-known cemeteries, such as the royal Anglo-Saxon burial ground at Sutton Hoo and a mass grave from the Battle of Towton (1461). 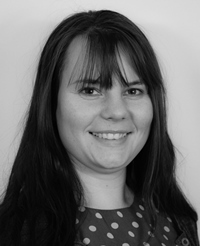 Malin is interested in all aspects of funerary archaeology, palaeopathology and trauma and has analysed human remains dating from the Neolithic to the 20th century. She is currently working on the analysis of two medieval nunnery skeletal assemblages. It is the variety of periods, mortuary behaviour and pathology that one works with in commercial buiarchaeology that is most captivating. Malin is involved in several research projects, including investigating the causes of rheumatoid arthritis. 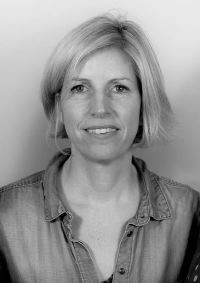 Malin has been teaching bioarchaeology at the University of York since 2003. Anwen has worked for York Osteoarchaeology Ltd since 2005, following the completion of her PhD. In that time she has worked on diverse assemblages dating from the Neolithic to the post-medieval periods, including inhumation and cremation burials and assemblages of disarticulated remains. Some of the more challenging projects Anwen has worked on include a large assemblage of Neolithic disarticulated remains from Northamptonshire and the Roman site of Driffield Terrace (York) which contained a large number of decapitated individuals. Anwen takes a particular interest in post-medieval skeletal remains and what they can reveal about the impact of industrialisation on health, and has analysed the post-medieval assemblages from Priory Yard (Norwich), St George's Crypt and Ebenezer Chapel (both Leeds), and Fewston in North Yorkshire. Anwen has also been involved in teaching osteology and palaeopathology at Durham University since 2001 and was appointed in 2017 as a teaching fellow. Katie has been working for York Osteoarchaeology Ltd since 2010. She has excavated in Britain, The Republic of Ireland, Eastern Europe, the Near East and Africa since 2004 and has been the site osteologist on a number of commercial cemetery excavations. Katie has worked for York Osteoarchaeology on a number of post-medieval skeletal assemblages from Rotherham, Halifax and Manchester. The skeletons from these sites illustrate how the economic status of the working classes and newly emerging middle classes impacted on the lives of the inhabitants of the urban centres of northern England during the industrial revolution. Paola started working for York Osteoarchaeology in 2017 having previously worked for commercial archaeology for 5 years. She has conducted field-work at a number of multi-site archaeological excavations, mostly in the South of England and carried out post-excavation assessment and analysis of human remains and cremations spanning temporarily from the Neolithic to the post-medieval periods of England and Spain. 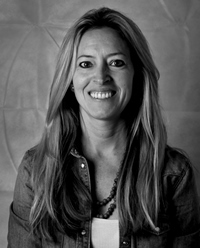 She has worked extensively in collaboration with other archaeologists and specialists from other disciplines to complement her research and to address topics related to diet, exposure to pathogens and environmental pollutants, provenance, legislation in human remains, autopsy, dissection, body attitude and body positioning of individuals in graves. Paola has written numerous commercial archaeological reports as well as academic papers and monographs and published her research at a number of national and international journals. 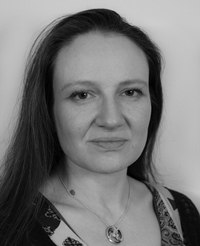 Paola is also an Associate Lecturer in Bioarchaeology at the University of York.